I thought about putting my kids in martial arts for a long time. Everything I heard said it was a fantastic activity for kids, but I never took the initiative to look into it. When a friend of my daughter's had a ninja birthday party at Stapleton Family Karate, we were impressed. 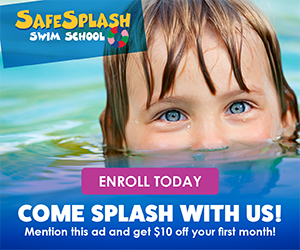 We scheduled a free trial lesson for our kids - Claire, then age 9, and Sean, then age 4. At the trial lesson, they asked us what we would like to accomplish through martial arts. Better attitude? Respect? Focus? Discipline? Personal safety? Better grades? Physical fitness? Confidence? Yes, please to all of the above... The kids enjoyed the trial lesson, so we decided to give it a try. Their first two classes were marked by lots of giant smiles - they were both hooked (Claire thought the first day was challenging, but was hooked after that). We had tried dance classes for Claire, but she was unenthusiastic at best. 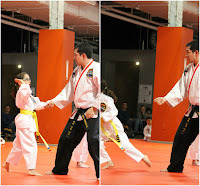 Taekwondo, she loved. It turned out she has a competitive streak, so she likes the opportunity to compete against and outperform kids of higher ranks. Within her first month, she was leading the class and could count to ten in Korean (see video below). Sean just loved the running, kicking, jumping, punching - all of it - and is still rarely without a huge smile. We started with Stapleton Family Karate (which actually teaches taekwondo) in early September of last year. In just under a year and a half, Claire is about to test for her high brown belt (advanced) and Sean is about to test for his green belt (intermediate). 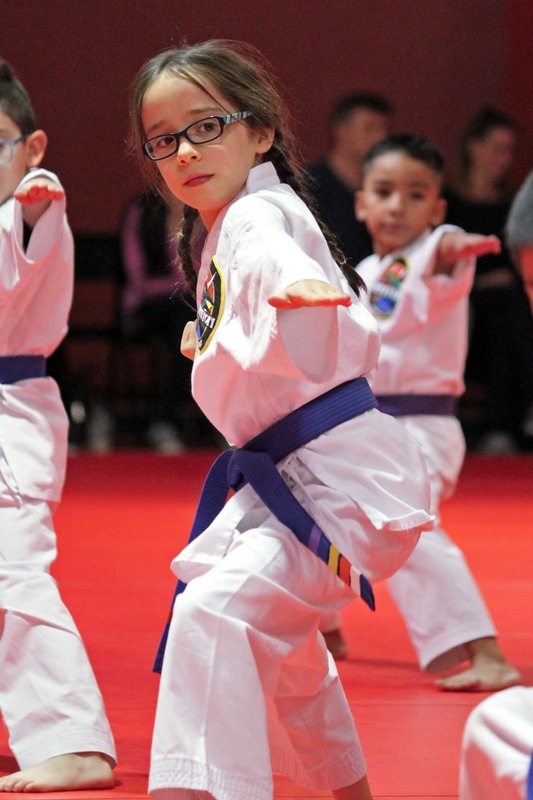 Younger kids advance a half-belt rank at a time, so even though they started at the same time, Claire advanced twice as fast. 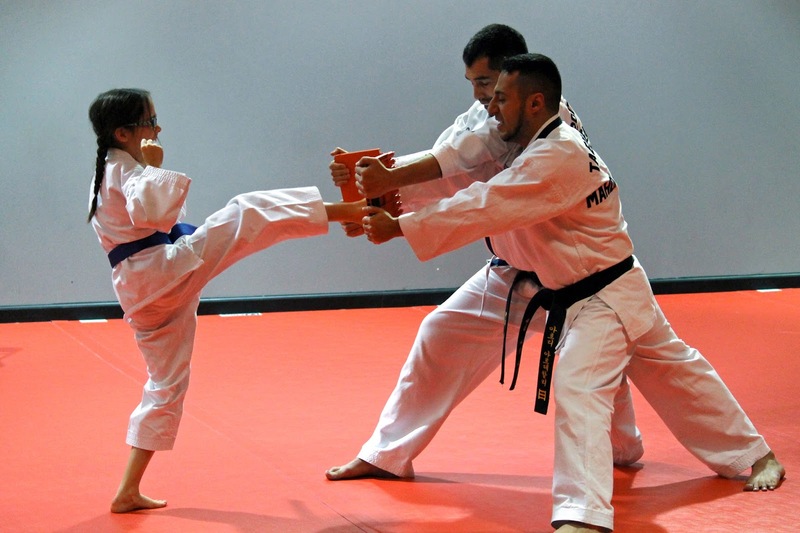 Classes are split by age (Little Dragons: 4-6, Karate Kids: 7-11, and teens/adults), and the kids' classes are split by level (basic-intermediate-advanced) so that younger students are in a group with age peers of their same level and don't feel lost or overwhelmed. 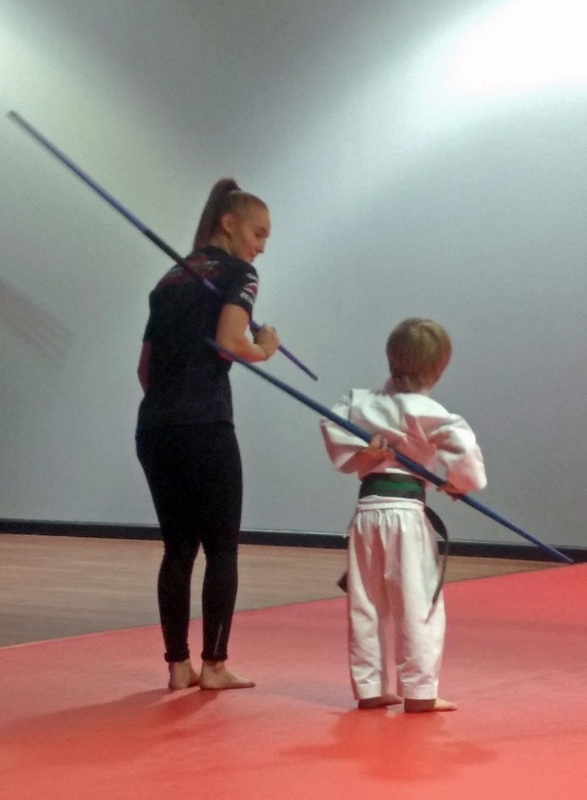 Teen and adult classes have all levels together so they can help and encourage one another. 1. We were really struggling with attitude, focus, and respect in our house. Initially, both kids behaved well in taekwondo class but would still act up at home. 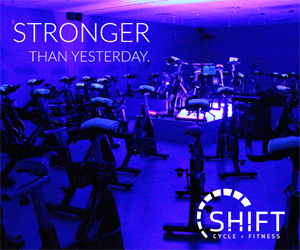 After about eight months, the skills and attitude became internalized and we noticed a huge difference outside of class, too. 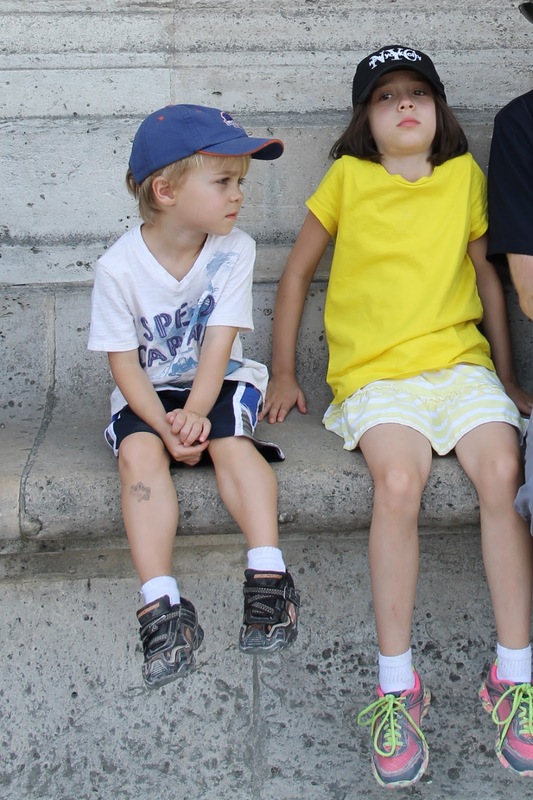 Both kids are now better listeners, more respectful both in and outside the house, and are more focused. Family even noticed a big difference during the holidays. That's not to say that they still don't have issues (they're 10 and 5), but we have the tools and vocabulary as a family to work through them faster and better, and issues are less frequent these days. I can say, "Are you using your integrity?" and they instantly know what that means and how to adjust their behavior. 2. Both kids have made good friends in their taekwondo classes. As a parent, it's nice for me to watch them build friendships with other kids who have the same tools and values (and it sure makes playdates easier). 3. 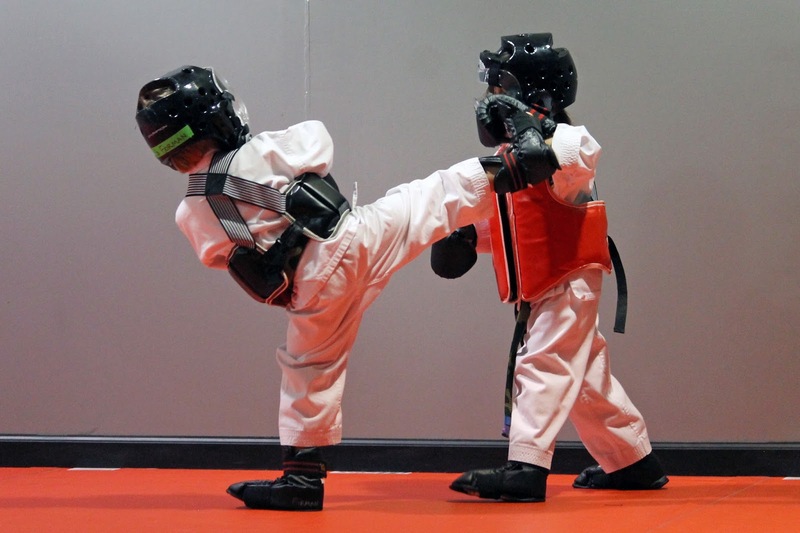 Taekwondo builds them both physically and mentally. They get a great workout and are building their minds at the same time. Claire breaking free from a "stranger"
4. They learn to deal with strangers and bullies. At the beginning and intermediate levels, all students learn and are tested on what how to handle a bully situation, the different types of strangers, and what to do if a stranger grabs them. This gives me tons of peace of mind as a parent, especially since Claire is on the smaller side and won't be a large adult. 5. It teaches the kids goal setting. They can't automatically test for the next belt level - they have to earn stripes proving they know their stuff. Stripes are for their form, bully self-defense, stranger danger, and, later, sparring and board breaking. 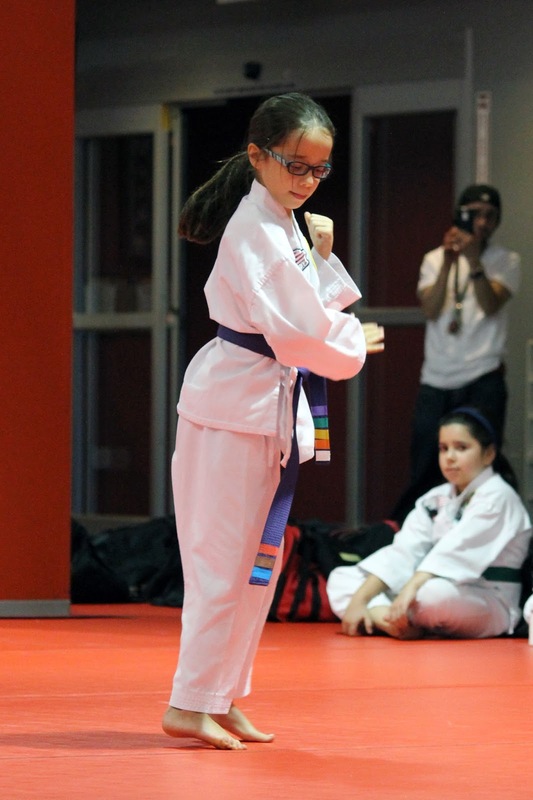 Claire's goal is to be a black belt by the 6th grade, which we love. 6. 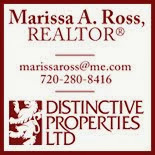 They have a flexible schedule. The kids each attend class twice a week, but we get to pick the days and times that work best for us from four to five different options Monday through Saturday. They also hold regular Parents' Night Out evenings, which the kids love and give us a date night (yeah!). 7. 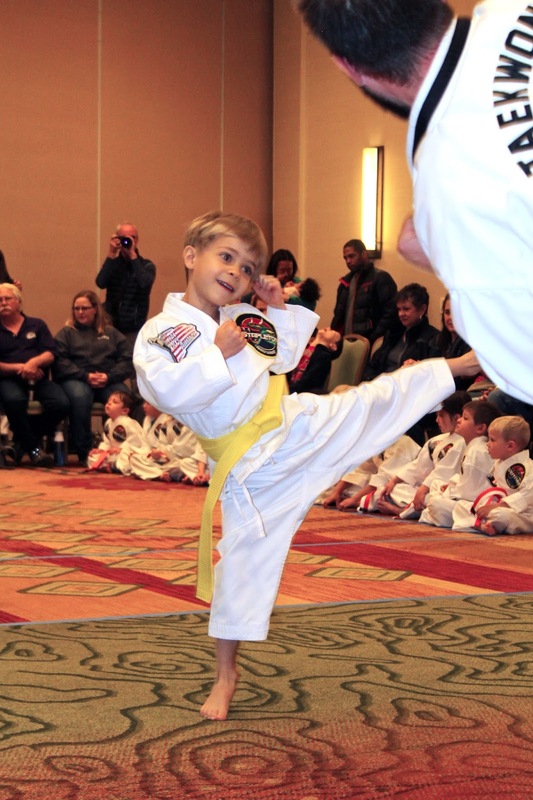 Right from the start, the kids began competing in tournaments, which gives them confidence when performing and teaches them healthy competition. 8. 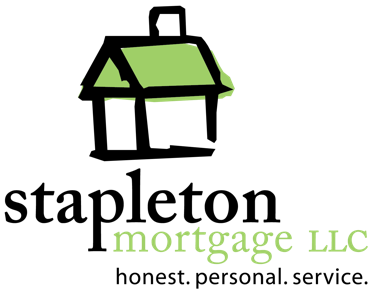 My kids are learning skills that will help them in every aspect of their lives for the rest of their lives. The importance of physical fitness. Confidence. Integrity. Goal-setting. Discipline. Focus. Respect - both self-respect and respect for others. Perseverance. Teamwork. The world would be a very different place if we all learned these skills as children... My teenage years were difficult, and I hope my kids' will be better having these tools at hand. 9. 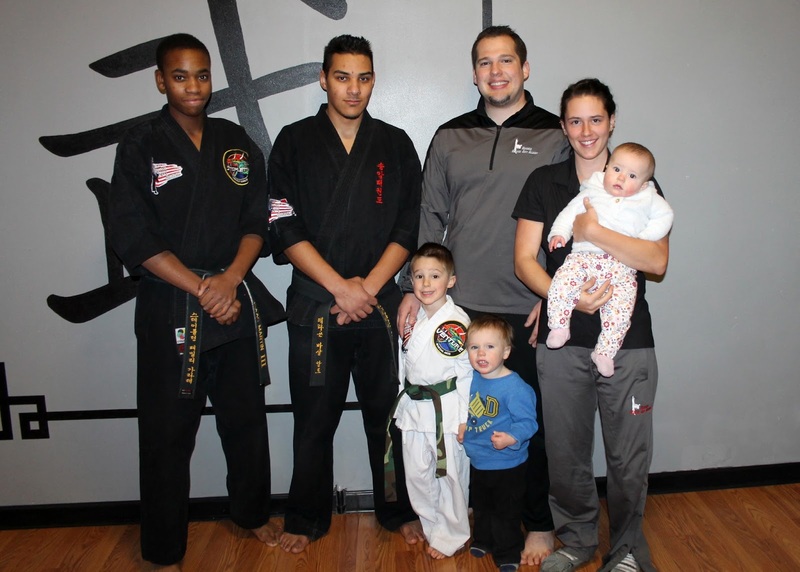 Stapleton Family Karate is not only family-owned but has an enormous focus on families. When we walk in we're greeted by name. All the teachers and staff make it a priority to learn each student's name (and they have around 350!) and use it in class. The teachers are kind, encouraging, and have high expectations for their students, which really makes the kids step up their behavior and performance. 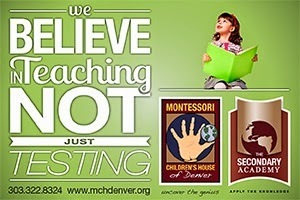 The kids adore their teachers and want to perform well for them. All I have to say at home is, "What would Mr. Martin say?" and a poor choice instantly becomes a better one. 1. At her first belt testing, Claire asked if she could perform her form on her own (it was instructor-led at the time). The instructors were so impressed, they asked her to do it again on her own in front of all the testers, parents, and instructors, and said they would be moving to having the Karate Kids (ages 7-11) memorize their forms for testings. Almost a year and a half later, this is still her favorite moment. 2. Winning medals at tournaments. Karate Kids win actual 1st-2nd-3rd medals (there's also an "awesome competitor" medal for being brave and putting it out there). Little Dragons win 1st-place medals based on something they excelled at during the tournament. 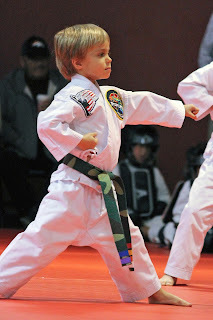 Sean has won "Best Black-Belt Attitude" at two different tournaments now, which makes Mom and Dad happy. 3. Ninja camp! Both kids went to a week-long Ninja camp last summer at SFK and really enjoyed honing their ninja skills. They came home with "actual" ninja gear in a cool utility belt that they still use regularly. 4. Before the holidays there was a series of special, optional, XMA (Extreme Martial Arts) classes. The kids were only going to participate in two of the three classes, but the third was using a bo staff (a.k.a. long staff), which they were both really excited about. They agreed to each buy the staff and pay for the class out of their allowance savings. Now they take the regular weapons class on Saturdays (open to anyone and no extra charge) and are excited to try nunchucks next. 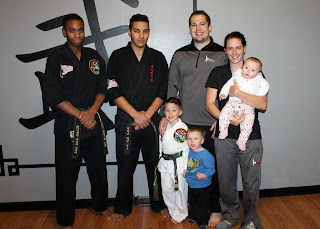 We love Stapleton Family Karate and plan to be there for a long time! 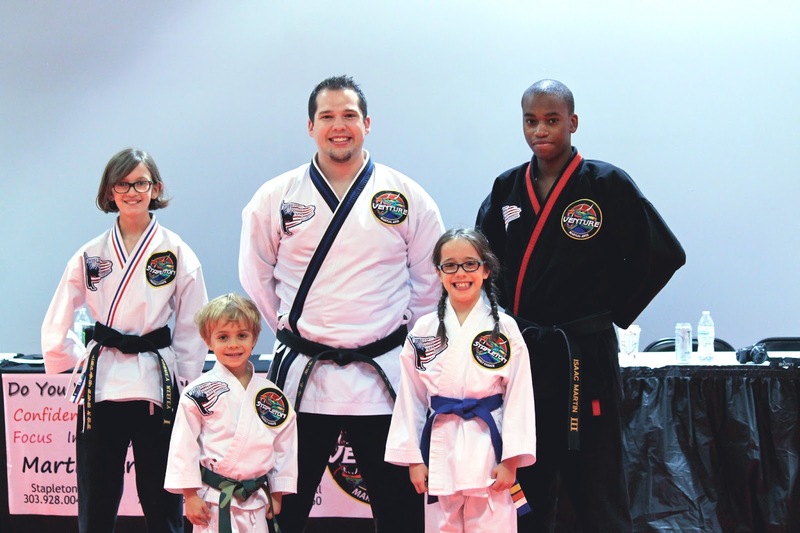 The founder and owner, Micah Martin, is a fourth-degree black belt and is also the lead instructor at SFK. His wife, Erin, is also an instructor, as are his two brothers, Jeremiah and Isaac (see pic above). 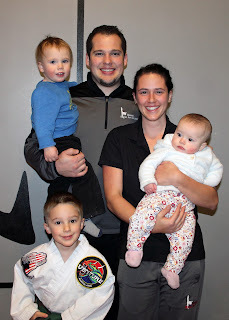 There have been a few different head instructors since we first started with the school, but Micah and Erin moved to Stapleton recently to take over the school full-time (they have two other locations in Superior and Broomfield under the name Venture Martial Arts - in 2018, Stapleton Family Karate will rebrand and also be known as Venture Martial Arts.) 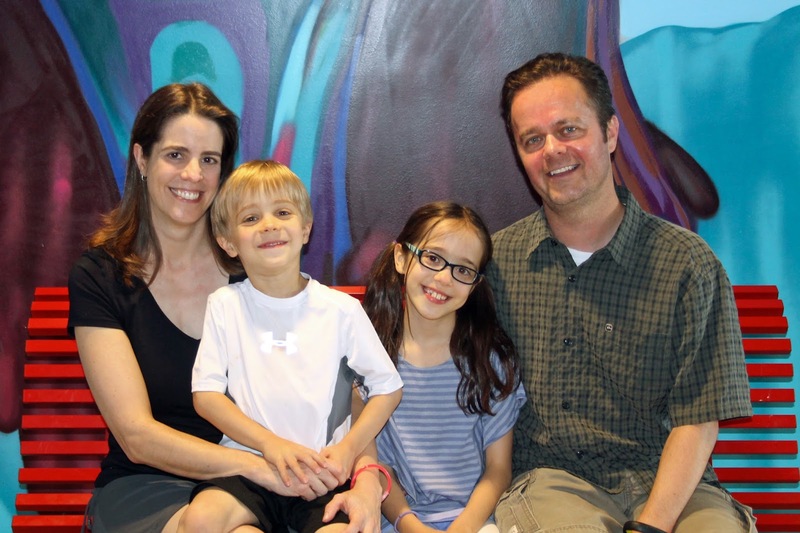 They were less involved with the schools while they built their family (they have three adorable kids ages 4, 2, and 6 months who are regular fixtures at the school), but now they're back and all-in at the Stapleton school. We want to apologize to the community for the staffing changes that have happened over the last two years and let everyone know that we are back and committed to making Stapleton Family Karate a real treasure within in the Stapleton community. We would like to invite everyone who was once part of our program or who would like to give it a try to come to classes for four weeks on us and let us earn the right to make an impact on your child’s life. 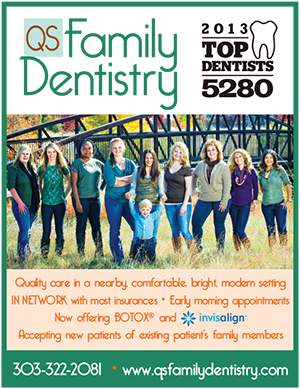 We also want to thank all of the families who have supported us over the years and let you know that we are here to stay. 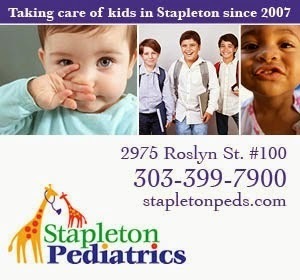 We look forward to improving the lives of children right here in the Stapleton community for many years to come. 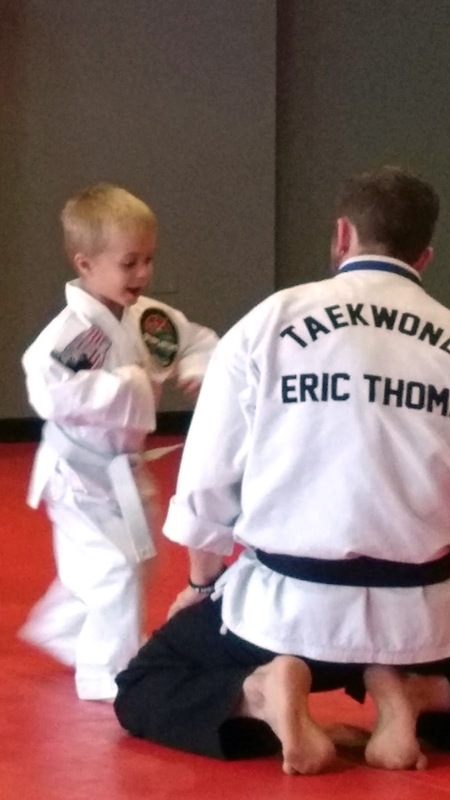 To take them up on their offer of four weeks of free classes, call 303-928-0043 or email erin@stapletonfamilykarate.com. Learn more at stapletonfamilykarate.com or visit them in the Shops at Northfield at 8270 Northfield Blvd. #1450, Denver, CO 80238. Mindee is a proud taekwondo mom, freelance writer, editor, web designer, and social media consultant. 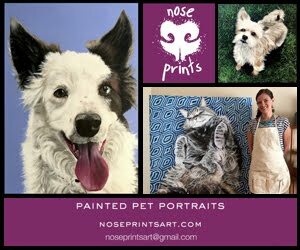 She lives in Denver with her husband, two kids, and two crazy cats.